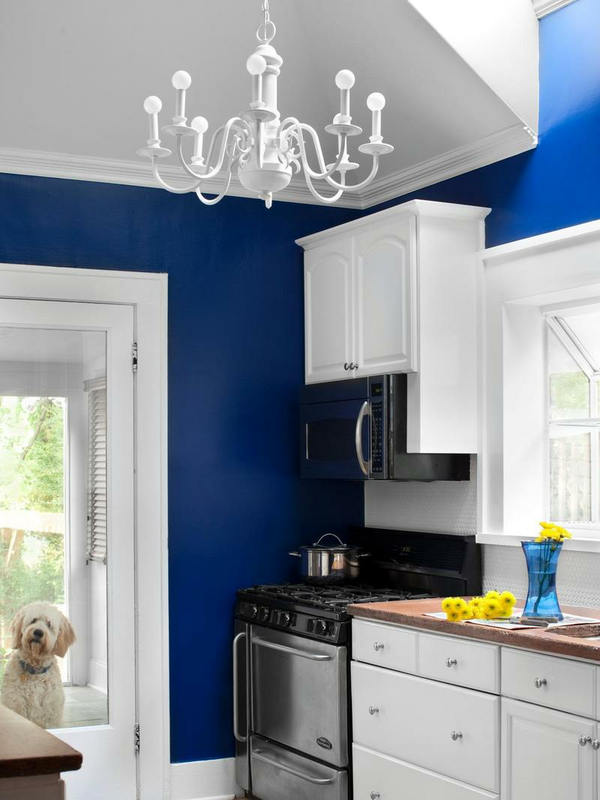 Never underestimate the power of great paint colors for small kitchens! Instead of a major overhaul, simple paint on kitchen walls and cabinetry can provide the lift needed to update and open up the confines of a small kitchen. Make your small kitchen feel larger by following an open floor plan. Allow the space to carefully flow into the living or dining room. Change the wall colors from room to room to visually separate the two spaces. HGTV fan pilonieta kept the kitchen walls neutral but added a pumpkin-orange hue to the living room walls to show a bold and clear room divide. Make a small kitchen feel open and airy by using a light color palette and plenty of natural light. HGTV fan heatherbullard coordinated white beadboard, a light travertine backsplash, glass-front cabinets and a soft yellow hue on the walls for an elegant cottage feel.